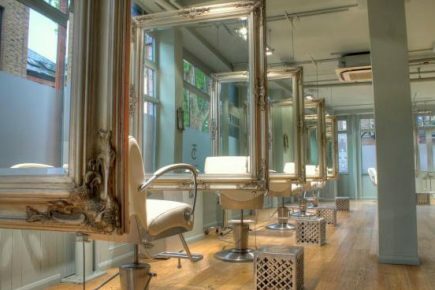 In the heart of Islington The Chapel is a holistic haven from the bustle of busy day-to-day London life, it’s the perfect place to take time out, drop your shoulders and get your locks lovingly preened. From the decadent mirror fringed decor to the salons hair-spa philosophy (based on The Chapel’s signature R.E.S.T – Relaxation, Education, Service, and Tailored Treatments), the award-winning salon ensures your experience is completely personalised. Whether you’re getting a cut, colour, or treatment, you’ll enjoy your own private space and dedicated one-to-one attention. Founder Amanda Dicker has further enhanced The Chapel’s holistic offerings with her very own brand of luxury fragrance products products, including hand poured candles, shea and cocoa butter hand creams and relaxing pulse-point fragrances, all designed to encourage a moment of pause. The Chapel empire also has salons at Tunbridge Wells, Sevenoaks and at the W Resort, Verbier.